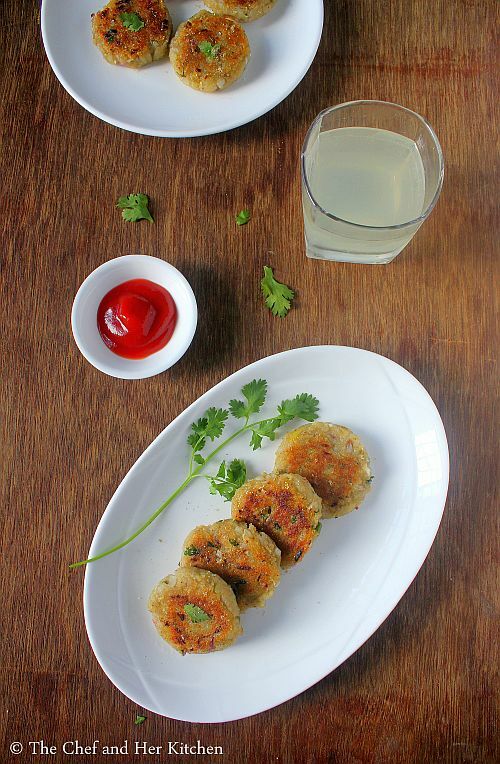 Poha tikki recipe with step by step photos.Tikkis or Cutlets are always a good option for the evening snacks or can be served as appetizers in the party.Tikkis are versatile and one can prepare various tikkis like aloo tikki, vegetable tikki, stuffed veg tikki, stuffed aloo tikki, aloo and greens tikki, kala chana kebab,veg shammi kebab,Soya chunks tikki,poha tikki, rava tikki etc.I have transformed sometimes the leftover pongal, upma, rice into tikkis as evening snacks as usually no one wants to eat the leftovers at my place. 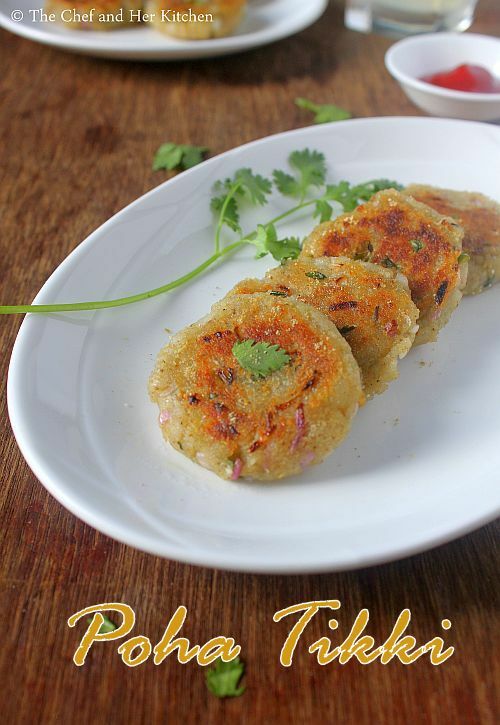 I usually do not make poha tikkis often at my place and I would prefer the other versions anytime. I had even made this tikki because of a small mishap in my kitchen. When I asked my helper to clean the thin variety poha for a recipe she had washed it accidentally and all I was left was a thick mass of soft and soggy poha.I was left with no option other than transforming it into tikkis and everyone had it with out any complaints. 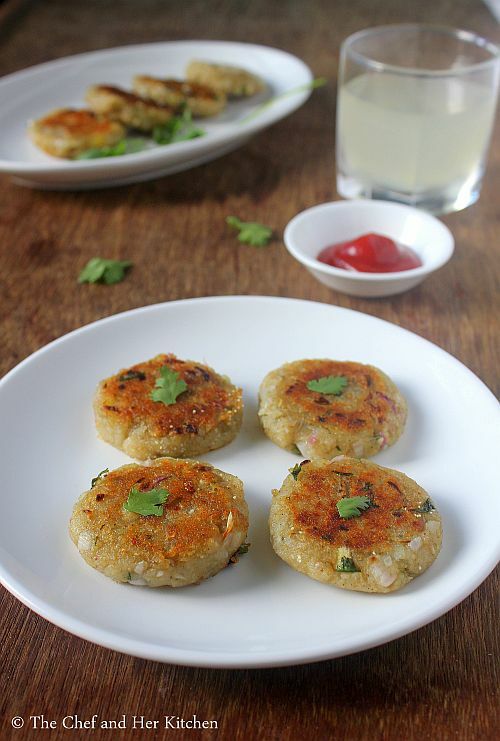 Here is how to make poha aloo tikki recipe with step by step photos. Wash poha in water and remove the water and let it soak for a while for 15-20 mins.If it is thick poha soak in little water,if it is thin poha you can drain water completely and let it soak. Slightly mash the poha with your hands,it is optional. In a large bowl add soaked and mashed poha,boiled peeled and mashed potato, finely chopped onion,green chili and coriander leaves,grated ginger, chaat masala, garam masala,cumin powder, amchur powder and salt and mix everything nicely until it is mixed nicely. 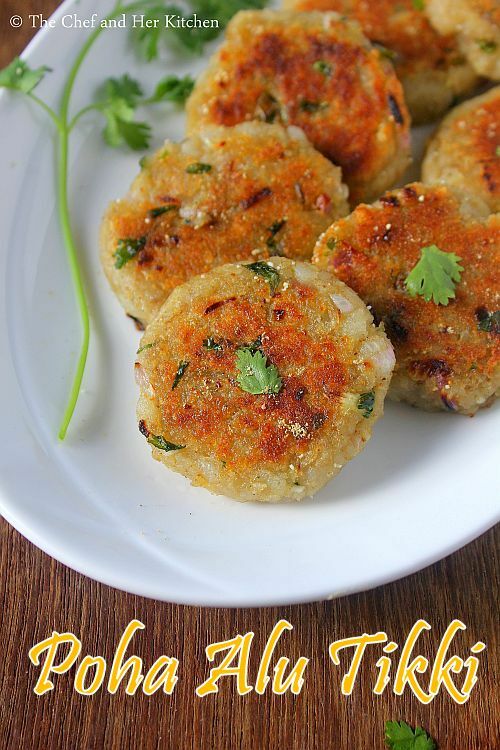 Take a big lemon sized portion of the poha mixture and make it into a ball and flatten it to form a tikki. You can roll them in bread crumbs by dipping in thin maida-water mixture or else leave them as they are.I left them like that only and refrigerate them for half an hour. Heat a flat pan and add 1-2 tbsp oil and spread with a spatula and place the tikkis and fry them over low-medium flame until they are done by flipping it in between to roast on the other side. Serve them hot with green chutney and meetha chutney or tomato sauce.Sprinkle some chaat masala on the tikkis while serving. You can even grind the poha to a powder and sprinkle little water to it and follow the same process. You can add grated vegetables like grated carrots,boiled green peas or blanched green beans or chopped raw bell peppers or capsicum to the mixture before making tikkis. 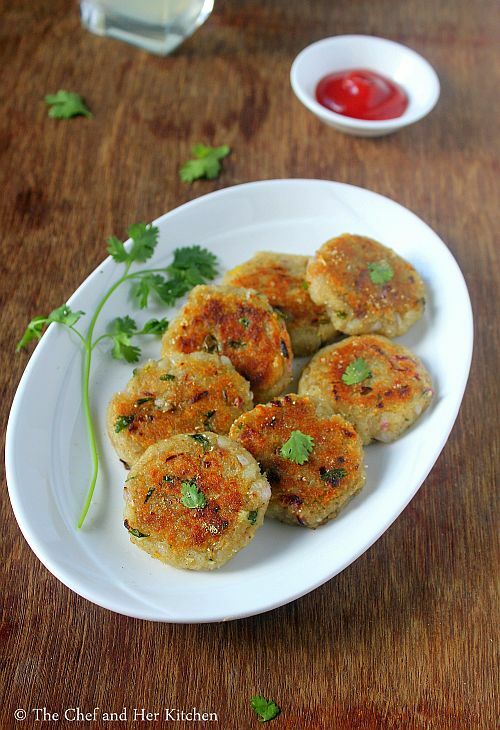 You can dip the tikkis in the sooji or oats or bread crumbs on both sides for a crunchy layer on the top. You can make it in the shape of oval or heart shaped cutlets or you can make like egg shaped rolls and deep fry in oil.